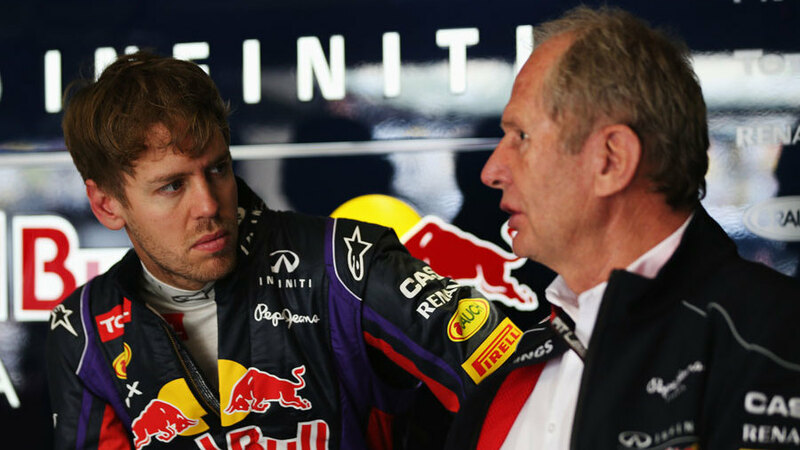 Red Bull motorsport advisor Helmut Marko left the Malaysian Grand Prix €400 richer after an astute bet - on former protégé Sebastian Vettel winning the race in his Ferrari. Marko put his money on Vettel as part of an internal paddock bet, backing the most successful product of the Red Bull junior programme despite the fact he left the team last year. Germany's Sport Bild reports Marko was confident Vettel could win from early in the weekend. "I knew that Sebastian could do it," he said. "You could see it as early as Friday practice." While Vettel won the race, Red Bull continued to struggle with an uncompetitive Renault power unit and a brakes issue, perhaps explaining why Marko was reluctant to back current Red Bull pairing Daniel Ricciardo, the winner of three races last season, or Daniil Kvyat. Marko went on to explain why he never lost faith in Vettel's ability despite failing to win a race in his final season at Red Bull last year. "He did not forget how to drive in one year. He just could not drive our car as he needed to. Maybe people will realise at last that it was not our car alone that gave him those four titles."